Students can't wait to dig into this classroom treasure chest toy assortment. You'll find everything from funny eye glasses and play money to plush animals and toy jewelry. 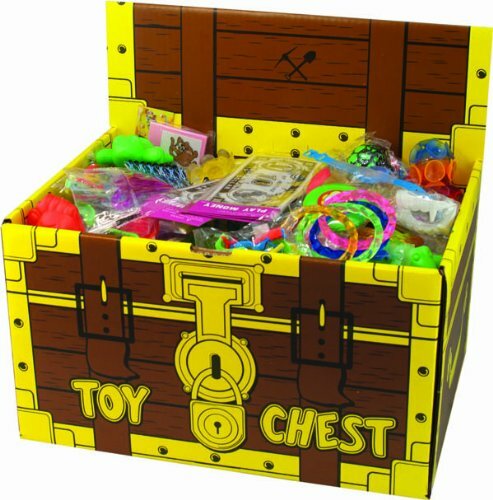 Value packed cardboard chest is has treasure chest graphics and is loaded with student treasures! 14" x 9.5" x 8" chest contains 200 assorted pieces. If you have any questions about this product by Rousek, contact us by completing and submitting the form below. If you are looking for a specif part number, please include it with your message.